Do you need boiler repair in the Delaware or Maryland region? Peninsula has been repairing boilers in Delmarva for more than 75 years! You can count on us for prompt, reliable service and guaranteed repair work. If you need boiler repair in the Delaware/Maryland area, call Peninsula at 302-629-3001302-629-3001. Why isn’t my boiler firing up? – A serious problem with a number of possible causes. Your boiler’s motorized valves or air locks may be broken. A malfunctioning or incorrectly-set thermostat could also be the culprit, as could a broken pump. Why is my boiler making loud noises? – Banging or rattling noises coming from your boiler may indicate the buildup of hard water deposits. The noise is caused by the water trying to navigate its way through smaller passages. A grinding noise often means that some of the boiler’s moving parts require lubrication. Why does my boiler’s pilot light keep going out? – If your gas boiler’s pilot light keeps going out, you may have a broken thermocouple or air seal. Why is my boiler leaking? – If you see water pooling around the bottom of your boiler, it may be leaking from the pump, the expansion tank, or the boiler tank. These are just a few possible symptoms and causes of boiler problems. If you are experiencing any of these issues, or your boiler just isn’t performing like it should, contact Peninsula for repair in Delaware and Maryland. Call us for emergency service at 302-629-3001302-629-3001. We can send out a service tech any time, day or night. How Can I Keep My Boiler From Needing Repairs? Professional boiler maintenance can keep your gas, oil, or combination boiler from needing expensive repairs. Peninsula can provide regular maintenance with a service plan, or you can call us any time to come take a look at your boiler in Delaware or Maryland. You should keep your boiler clean and check it throughout the year, but winter and summer are optimum times for comprehensive maintenance checks. Performing additional checks and tests, depending on the type and brand of your boiler. Thoroughly cleaning, draining, and flushing the boiler, cleaning the firewalls and checking the unit for any damage or corrosion that could affect its performance. Doing additional checks and tests, depending on the type and brand of your boiler. Sometimes repair isn’t an option, and you need a new boiler. 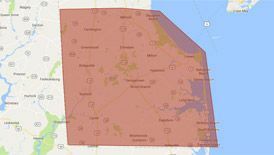 Peninsula installs boilers all over the Delaware/Maryland peninsula. If you need boiler replacement, call us. We can show you a range of options in gas, oil, and propane boilers. A new, more efficient boiler can save energy and may even save you money on your utility bills. 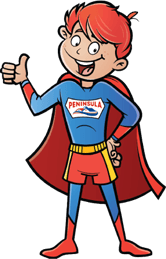 Contact Peninsula for boiler maintenance, repair, or installation.